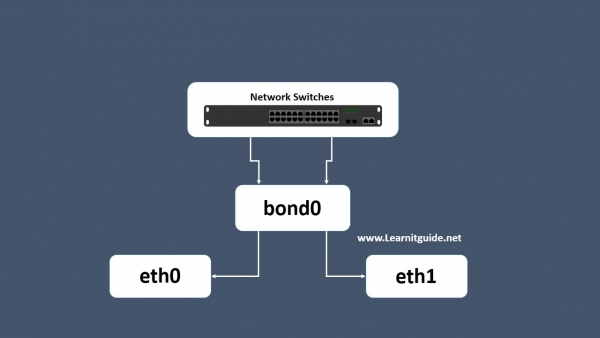 Bonding is nothing but Linux kernel feature that allows to aggregate multiple link interfaces (such as eth0, eth1) into a single virtual link such as bond0. The idea is pretty simple get higher data rates and as well as link failover. Red Hat described bonding in documents as, Linux allows administrators to bind multiple network interfaces together into a single channel using the bonding kernel module and a special network interface called a channel bonding interface. Channel bonding enables two or more network interfaces to act as one, simultaneously increasing the bandwidth and providing redundancy. If one physical NIC is down or unplugged, it will automatically move resource to other NIC card. Channel bonding will work with the help of bonding driver in kernel. How to Create NIC Channel Bonding in RedHat, CentOS and Fedora? Also watch this demo practically on Youtube! Linux and other platforms stores network configuration by default in /etc/sysconfig/network-scripts/ directory. First, we need to create a bond0 config file as follows, change the values like IP Address as per your environment. Edit both the configuration files as follows for eth0 and eth1 interfaces. Here MASTER and SLAVE directives are mandatory to specify which bonding channels are we going to use for this network cards if you have multiple bonding in the same servers. Save file and exit to shell prompt. You can learn more about all bounding options in detail below.